Over the last year, CIO.com's team of resume experts and career consultants have helped numerous IT professionals showcase their extensive knowledge, experience and technical skills, helping them land their dream jobs. From candidates looking to spruce up their plain vanilla resumes with some extra "spice" to one candidate who didn't have a formal resume at all, here are the top 11 resume tips from 2015. Even at the executive level, senior IT leaders often struggle to create a resume that reflects their skills, knowledge and experience and grabs a recruiter or hiring manager's attention. Making sure your resume reflects the type of experience and achievements expected of senior technology leaders or CIOs is challenging, says Stephen Van Vreede, personal brand strategist and job search agent for IT, Technical and STEM careers with ITTechExec and job search coach and employment blogger at NoddlePlace. Van Vreede is also the co-author of the book, "Uncommon: Common Sense but Uncommon Knowledge from Today's Leading Entrepreneurs and Professionals to Help You Lead an Extraordinary Life of Health, Wealth and Success." Here's how Van Vreede helped IT executive John Chavner carefully craft the "right" kind of professional presentation that would dictate the response he wanted -- to land a role as a senior IT executive. After 17 years climbing the IT ladder at a major financial institution, Tatiana Shevchuk's position was eliminated, and she found herself with a mediocre resume that wasn't getting her the desired responses. Resume expert and career consultant Donald Burns of Executive Promotions, LLC streamlined her resume and uncovered that special something -- the 'X' factor -- to highlight her career progression, her extensive accomplishments and her value to potential employees to help her land her dream job. Buried beneath myriad details and a few stints in administrative positions was a killer IT resume -- it was up to resume expert Caitlin Sampson of Regal Resumes to help candidate Lori Parks uncover her potential and focus her resume so that recruiters and hiring managers could see her as she was, a diamond in the rough. By identifying Parks' true passion and highlighting her impressive achievements, Sampson was able to polish Parks' professional first impression. David Thorburn-Gundlach's resume was fantastic -- 10 years ago. By today's standards, though, Thorburn-Gundlach may as well have been invisible, at least to the recruiters and hiring managers whose attention he was trying to attract. Resume expert Stephen Van Vreede of IT Tech Exec helped Thorburn-Gundlach remove the cloak of invisibility surrounding his exceptional IT career and focus on the pertinent facts that would catch the eye of a recruiter or hiring manager and land him an exceptional IT role. Scott Kressner had a lot going for him -- solid resume formatting, a great mix of experience and technical knowledge, as well a lengthy stint at RUSH Enterprises during which he steadily rose through the ranks. But his resume was much too generic -- too plain vanilla -- to get him past an initial screening and on to the interviewing stages. Career expert Donald Burns of Executive Promotions, LLC stepped in to help Kressner whip up some "secret sauce" that helped add some flavor to his resume and spice up his job search. A resume doesn't have to be a solid block of words and phrases -- adding charts and graphs can help demonstrate a candidate's value visually and is especially helpful in IT-adjacent areas like sales, marketing and project management. But if used improperly, they can immediately turn off a recruiter and hiring manager. 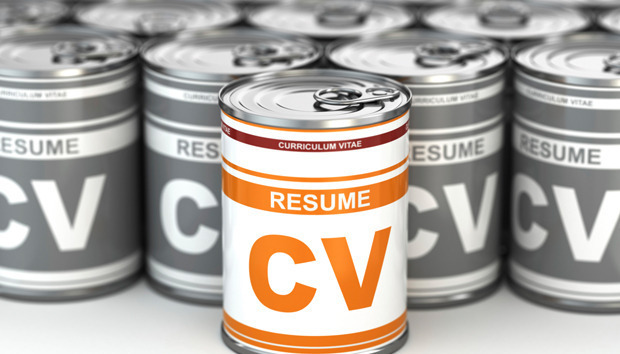 Here, resume expert Jennifer Hay of IT Resume Services shows how it's done correctly. While a too-long resume can buy you a one-way ticket to the "rejected" pile, the same is true for a resume that's too short. Expert Caitlin Sampson of Regal Résumes helped Andrew Lomasky expand his resume to better highlight his extensive and impressive experience and help him land his dream job. Malcolm Greene spent the last 25 years building a career as a successful IT consultant, moving from gig to gig based solely on referrals from satisfied clients and developing a reputation as the go-to guy for "impossible" IT problems. But when Greene decided to make a career change to pursue a role in the corporate C-suite, he faced a problem: He didn't have a resume to match his achievements. Resume expert and career coach Donald Burns helped Greene start from scratch to build a resume that worked. Aside from her incredible academic credentials from top engineering schools, Marydawn Meeder's resume could have been confused with almost any high-level IT professional. In today's tight IT talent market, that's not enough to get through an initial screening and on to the interview and hiring phase. Here's how resume expert and career consultant Donald Burns helped her stand out from the crowd and grab the attention of recruiters and hiring managers. Venkat Srivinisan is a data analytics expert with Ph.D. in computer science. He exudes personality, goodwill, energy and humor. His resume, although impressive, didn't match up with his colorful, energetic and entrepreneurial personality. Though filled with impressive accomplishments (he founded T-Cube, a software company that grew to $25 million within eight years; then in 2011 he sold T-Cube and founded a consulting company, which grew to $8 million and 10 employees) his professionally written, "standard" black-and-white resume didn't fully capture his potential. Here's how resume expert and career consultant Donald Burns helped inject some personality into Srivinisan's resume to help him get noticed. Allen Bocian is the kind of guy who likes to let his experience speak for itself. The problem was there was so much to say that the pertinent message about his skills and knowledge was getting lost, and potential employers stopped listening. Bocian is a highly technical guy, but most hiring managers and recruiters aren't; it was hard to "sell" himself, despite his experience and technical know-how. Here's how resume expert Caitlin Sampson helped Bocian cut through the technical noise and craft a winning resume that helped highlight what made him special.